With MyAXA eServices you are in control of your insurance. 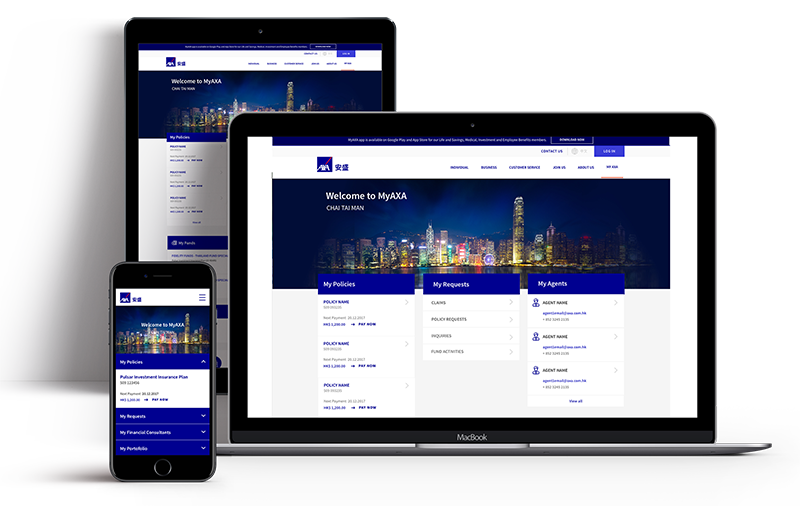 MyAXA allows you to view your policy information, check payment schedules and manage your investment portofolio, at a time that suits you. You can access it 24/7 from your desktop computer, tablet or mobile. You can access it 24/7 from your desktop computer, tablet or mobile. All your policy information is in one place, accessible at your convenience. View your claims history through MyAXA anytime. Manage investment portfolio, review & trade funds quickly and easily. If you have any questions, MyAXA is your direct line to your AXA Financial Consultant. MyAXA app makes your interaction with us easier and quicker. 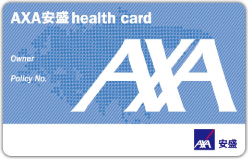 You can enjoy functions such as searching AXA healthcare doctors/AXA Signature Network doctors (if applicable), use eHealth card/electronic FirstCare Plus Medical card (if applicable), viewing claim history and much more. Never be alone on your road to recovery. 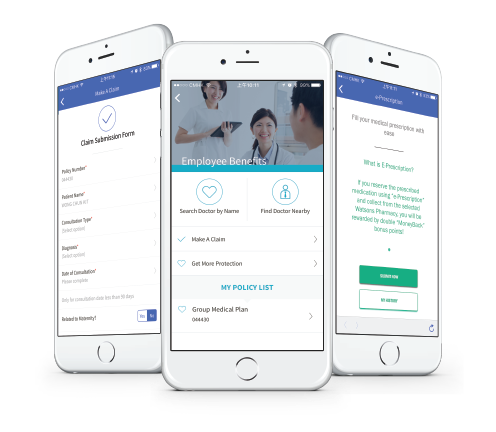 With MyAXA mobile app you can conveniently submit medical claims online and have them approved within just 5 days. So all you have to focus on, is getting better. Search for AXA Healthcare Doctors/AXA Signature Network Doctors (if applicable) by district and specialty and use the GPS functionality to locate a doctor near you. You will be able to download policy related forms & documents. MyAXA allows you to submit claims upto a certain limit (depending on type of claim) and check claim history from the app.